Excellent review, thanks for all your effort providing the facts about the A01. Im sold, bout time i upgraded my little aaa p2. I agree that there’s little to complain about given the price point. Some people are extremely picky. Given what was covered in topics about this light and the fact that BLF gets an extra discount, it should be understood that the QC won’t be as solid as with more expensive lights. I had an issue with my copper A01, sent in a photo to show it, and BangGood followed up with a brand new light. They could have just mailed me a battery tube, which would have been fine as long as it worked. If a US manufacturer was producing this light, we’d be paying at least 50% more. While it would feel good for some to buy that instead, supporting local jobs, the fact is that many people would still opt for the cheaper because of how people see the world (me first, everyone else after). So, with China still having a lower cost workforce, the job gets done there. And really, some of these lights are probably very close to margin, if only to help establish the brand and pave the way for more expensive models. The flakiness/flickering on my two orange lights was solved by the usual ‘all of the above’ — cleaning threads, checking tightness of the driver (it can be too tight, it can be too loose, it can be just right, no idea what’s going on with that), smoothing every electrically conducting part, putting conductive lube on, and “wearing in” through lots of cycles of off, on/change mode. Happy with them now. No surprise it took some time to get rid of the flickering. Still puzzled, I’ve never had other lights where the driver could be tightened down too much, but whatever that is, backing it off just a quarter turn or so gets rid of that part of the flickering. 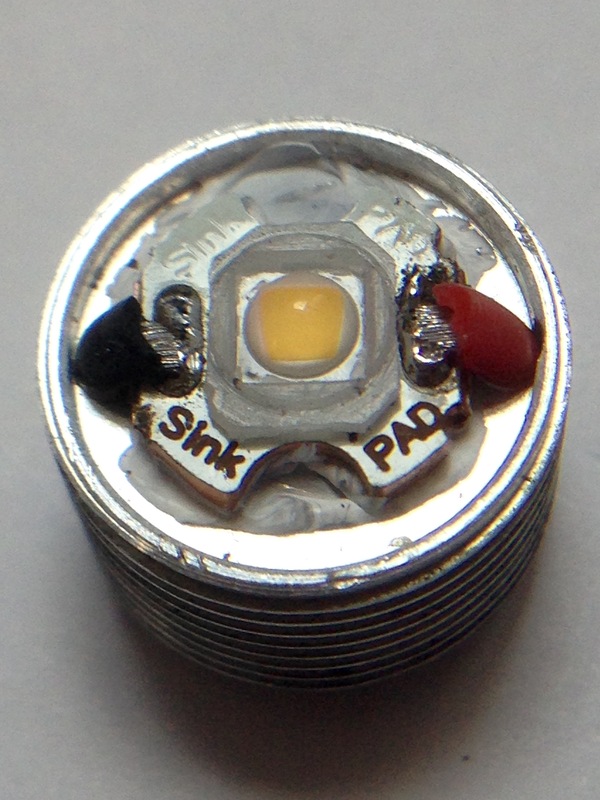 Yes, the driver and LED is all mounted in one pill that you can easily unscrew. I changed the MCPCB to a DTP copper sinkpad. It might be that the spring isn’t long enough (like on one of mine), and unscrewing the pill shortens the distance the spring needs to reach. You could try stretching the spring, instead of loosening the pill. choombak is not a drug reference name, rather an Indian word for “magnet”. 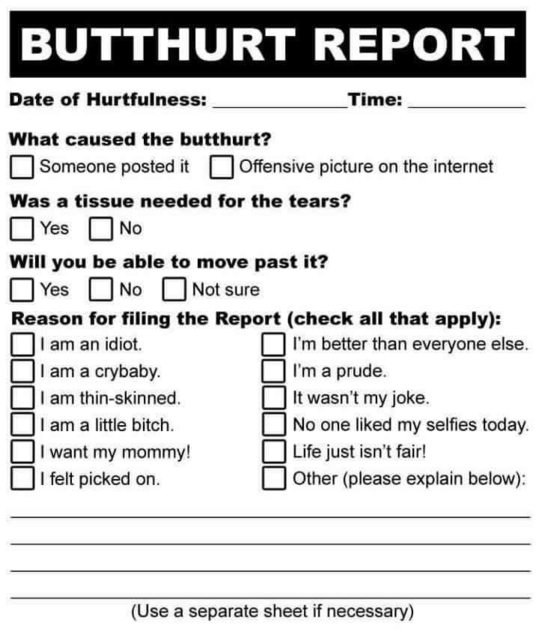 And can we steer clear of personal insults please! Name-calling always derails the discussion, and is counter-productive to thoughtful exchange. While quality is always subjective, I am surprised stating observations is construed as disproportionate complaining on this forum. If manufacturers are smart, they’d rather take a clue and fix trivial QC issues that may nag consumers – especially given this is low hanging fruit. Issues in this light are telltale signs of extremely poor QC (trying to squeeze as high a profit margin as possible), making the light utter unreliable. A dead light is as good as no light. Oh, and Banggood did come back on my DOA light – they want me to send a video of the light to show them the problem (!!). I guess “light does not work at all” does not cut it for them. For those who enjoy them, please have a reliable backup. I’m quite confident that every single person who reads this forum has at least 1 backup light…. At first I was thinking I should EDC one light, with some batteries as backup. Then I thought, why not EDC multiple lights with batteries in all of them. No need to swap batteries out in the element. More fun that way! I have 2 1xAAA flashlights in my pants pocket, and 4 flashlights of a variety of configurations in my jacket pockets. I have 3 different keychain lights on my keyring, and 1 more little LED light in my Victorinox Midnite MiniChamp. Ready for a new Big Bang? So, courtesy of my youngest, my copper A01 now has a cracked lens. Can someone point me to the cheapest place to get a replacement or two or is it simpler to just buy a new torch for spares? You can screw out the pill and than measure the glass diameter. I don’t know the size exactly but you can get nearly every size lens at fasttech. Hi guys does this unit have 4000K instead of 5000K on the BLF 348? Hi, is this on average or some units has 4000? The A01 comes stock in only one emitter and it’s 4000K. This is true no matter the color or material. Great my fav tint, thanks guys! And, the tint is quite consistent across different A01 units, unlike the BLF-348 which varies +/- 200K or so. So by my measurements these lenses are 13mm x 1mm. Fasttech don’t have any in that size sadly. Anyone know of anywhere I can get these tiny bits of glass cheaply? Saw one on eBay for £3 but I resolutely refuse to pay that. I’d rather spend a few quid more and get a whole torch. At most shops where you can order prescription glasses you can order it. AR coated or not. Probably cheaper just to order an aluminum version, and use its lens for your copper. Got 2 of these lights, one orange one copper. For some reason the orange one chews up o-rings, also whilst doing this its tricky to use one handed. The copper is nice & smooth though and easy to use so restored my faith. Think 5000 would be my ideal tint but these little lights do make a nice change from the more common cool tints. Thanks Finges – I missed that one – turns out BG are going to send me a replacement lens. Good on them. In the next few days you can get the AstroLux A01 for only 8$. I could not resist and ordered a few in green, grey and purple. Yeah couldnt resist either. Finally broke down and got a silver and orange. It’s really hard to go wrong with this light. I wish they also offered a AA version of the light. Same modes, but 3x the run time. I got one of the silver ones for 8. It arrived today. I already burned through one battery because I’d absentmindedly left it on and set it down face first (concealing the fact it was still on). It’s a nice light. Mine came with a nick on the tail end that must have happened before they gave it the anodizing treatment. It would bother me, if I didn’t know that its going to suffer worse in the first week I put it on my keychain. It’s now my favourite bedside light. The super-low mode, the smooth beam pattern; makes this a winner for me !